University of Wisconsin fashion magazine, MODA, dubbed the week of March 19 Madison Fashion Week and celebrated by bringing in some of the Midwest’s best-dressed fashion bloggers to share tips on getting started with a personal blog. The panel included bloggers from southern Wisconsin, Indiana and the Windy City. Quirk said she began by showing an interest in photography and taking pictures of her daily outfits while working in New York City. Four years later, after a relocation to Bloomington, Indiana, Quirk’s blog is now her career. A highlight of the panel was Chicago’s Style Block blog. After working together at shopedropoff.com, an online designer consignment store, five girls decided to share everything fashion, food and fun about Chicago life. “We took work and made it into something fun,” said Corri McFadden, eDrop-Off owner and Style Block writer. The girls from Style Block have opportunities coming at them from all directions from sponsorships to reality TV shows. For many up-and-coming fashionistas, getting your start in the journalism world is the most widely chosen path. 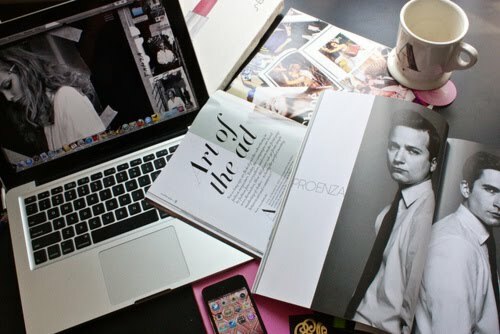 Style Block contributor Erin Brennan said magazines, media and blogs complement each other. “Blogging is just getting your feet wet,” Brennan said. Have you guys seen House of Consignment?? Corrie MacFadden is the start of the show!!! Check it out. Great article by the way!